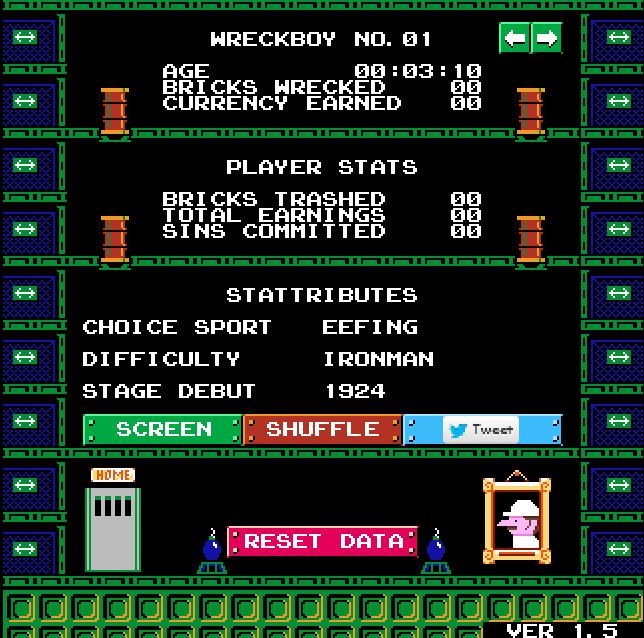 you got yourself a wreckboy. give him a brick and watch him go. wrecking makes him happy! mess makes him stress. keep his vitality up! if he runs out, he's history. 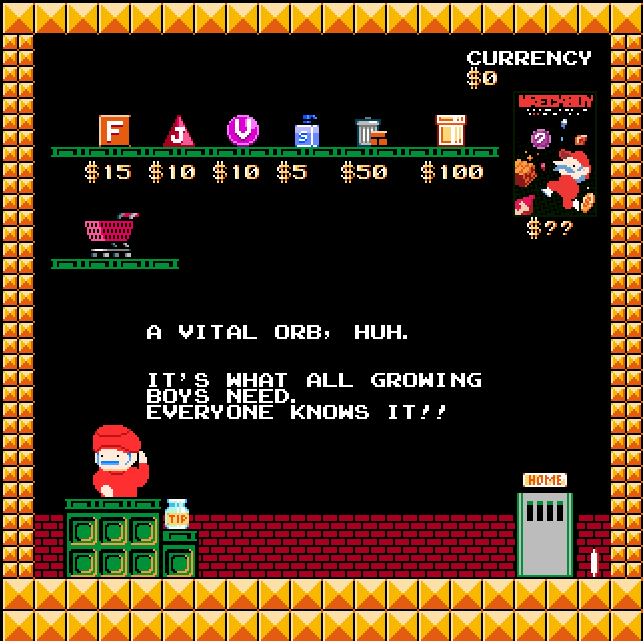 buy stuff at the SHOP to aid in his survival. check out your boy's stattributes and relive the glory of past boys in the HALL OF WRECKORDS. each boy is unique. show em off to the world! 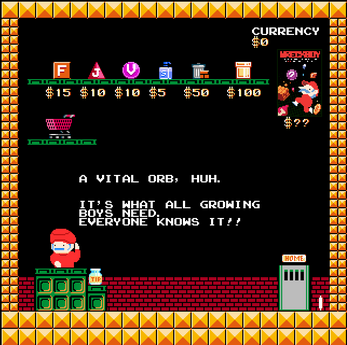 give your wreckboy a long, happy life. or give... a whole bunch of wreckboys... very short, miserable lives...? 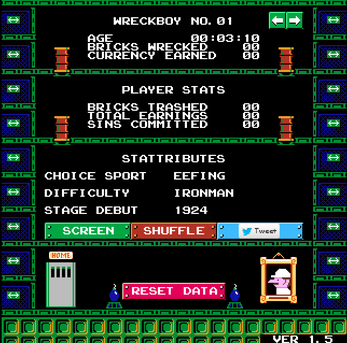 wreckboy is a game i launched in march of 2015. it was my construct 2 learning project and is a little wonky in many respects, but i'm proud of it nonetheless! perhaps a few boys will find a new home here on itch.io. newly available is a standalone downloadable version! boys won't carry over from the browser to the standalone (or vice versa), so keep that in mind. not that it matters a whole lot!! !